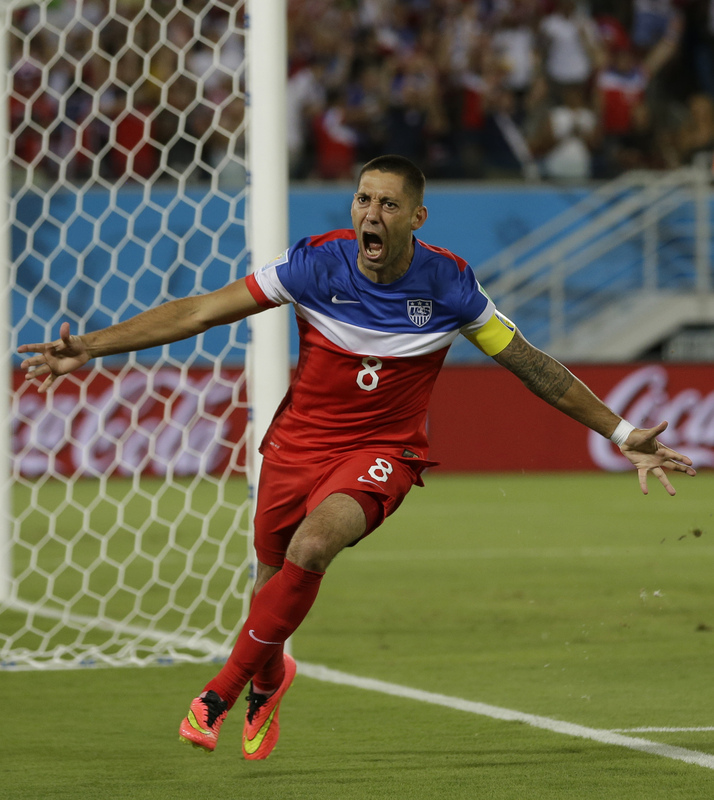 Mon., June 16, 2014, 9:03 p.m.
Once again, the Black Stars, who had eliminated the Americans at the past two World Cups, were poised to ruin the tournament for the U.S.
With two starters out with injuries, the U.S. barely threatened in the second half until a corner kick in the 86th minute. Graham Zusi lifted the ball into the penalty area, where fellow substitute John Brooks rose above the defense and headed in the game winner, putting the U.S. atop the group with Germany. The loss put Ghana at the bottom of Group G with Portugal, the Americans’ next opponent. The top two teams in the group advance. The U.S. lost striker Jozy Altidore to a strained left hamstring injury in the 21st minute and his status for the rest of the tournament wasn’t immediately known. Dempsey had his nose broken with a knee to the face. After a nifty move to split defenders John Boye and Sulley Muntari, Dempsey sent the left-footed shot past goalkeeper Adam Kwarasey, where the ball bounced off the post and in. Published: June 16, 2014, 9:03 p.m.